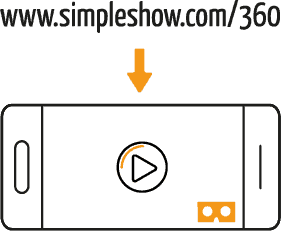 simpleshow is the pioneer and market leader for explainer videos that get to the simple heart of your complex topic. Ever since 2008, our ambition has been to combine good explanations and creative formats. Watch our anniversary video and join us on a fantastic journey through virtual reality! What do I need to experience virtual reality? It’s your choice: You can enjoy our 360 degree 10-year-anniversary video on your PC monitor, your smartphone or through a virtual reality headset. Our special simpleshow anniversary video uses virtual reality for a jaw-dropping 3D-journey into the world of storytelling, which is the essence of any good explanation. Prepare to get blown away! 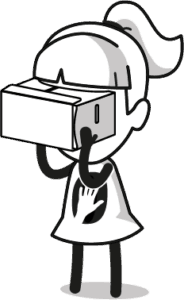 Or use a simple cardboard headset to turn any smartphone into a cool virtual reality viewer. This is how you assemble your own virtual reality cardboard headset to make your smartphone fit in perfectly. • Start the film and enjoy the ride! Efficient explanations are the foundation of good communication. And that requires more than just stating the facts: Skillful storytelling and creative realizations are what really makes people remember your message. Backed by ten years of market-leading expertise, simpleshow has developed and steadily perfected countless creative formats. Does that mean there’s nothing more to explore in video explanation? Not at all. We are only getting started! Already now, video makes up the biggest chunk of all online content. Why? Because we humans are visually-oriented beings. Our brains process images better and faster than any other information. 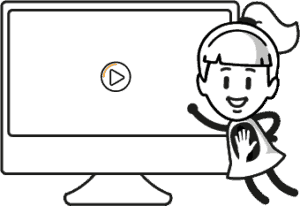 Which is why explainer videos can be used so effectively for any sort of topic. A good explainer video is driven by a competent concentration of content and catchy realization. simpleshow has been the market leader for ten years, constantly coming up with new formats and innovative ideas. Let the future begin – we’re right at the heart of matters and looking forward to it! For an optimal 360 degree experience please open the video with your youtube app!